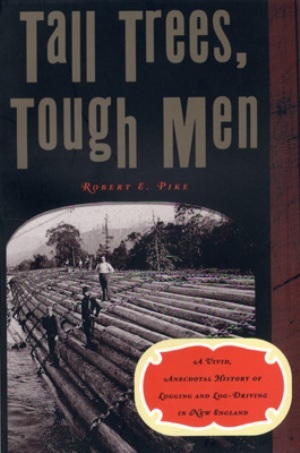 Tall Trees, Tough Men, by Robert E. Pike, 1967 (1999 reissue). This classic about logging and log-driving in northern New England is now back in print. Pike's descriptions of life in the woods, in the camps and on the river drives brings those colorful days back to life in vivid fashion. Over 60 black & white photos. 288 pp, 5 1/2" x 8 1/4".